As long as clinicians write “increase self-esteem” on treatment plans without knowing precisely what that means, there is a need for information on the construct of self-esteem and how its many components can have an effect on outcomes. 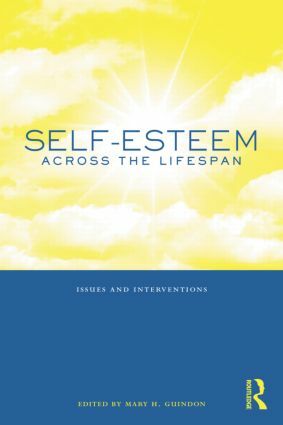 This text defines self-esteem, describes its history and evolution, discusses its controversies, and presents information on intervention strategies that can make a difference when it receives clinical attention. Principles and concepts are applied to various clinical concerns faced by clients in each of the five developmental life stages: childhood, adolescence, young adulthood, midlife, and late life. Book chapters discuss a variety of specific issues– such as child trauma and abuse, ADHD, body image and eating disorders, at-risk adolescents, African American youth, sexuality in young adulthood, alcohol and other drugs issues, lesbians and gay men at midlife, career development, intergenerational conflict in Asian Americans, and loss in late life – and offer detailed strategies for the development and enhancement of self-esteem. Also included is an example of an 8-week self-esteem enhancement program.